Dr. Georg von Tiesenhausen passed away in the late evening of Sunday, June 3, 2018. He was 104 years old. One of the original scientists to come over to America with Dr. Wernher von Braun, Dr. von T helped get America to the moon. More importantly, he was a great friend to Space Camp. After an esteemed career at NASA, he worked tirelessly for decades lecturing to kids–including me–at Advanced Space Academy. His contributions to camp were recognized when he was inducted into the Space Camp Hall of Fame’s first class. Later, in 2011, no less than Neil Armstrong would come to Huntsville to present Dr. von T with the Space Center’s Lifetime Achievement Award for Education. 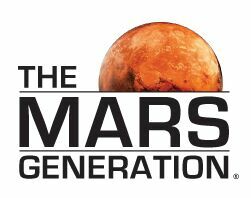 The Mars Generation, a space advocacy group started by Abigail “Astronaut Abby” Harrison, is offering full scholarships to Space Camp for those kids out there whose families can otherwise not afford a trip to Space Camp. What makes this scholarship unique is that, in addition to covering the Space Camp tuition, The Mars Generation pays for a flight suit, transportation to-and-from Space Camp, and a small stipend! Applications will be accepted through January 15, 2018. Potential applicants may apply here. 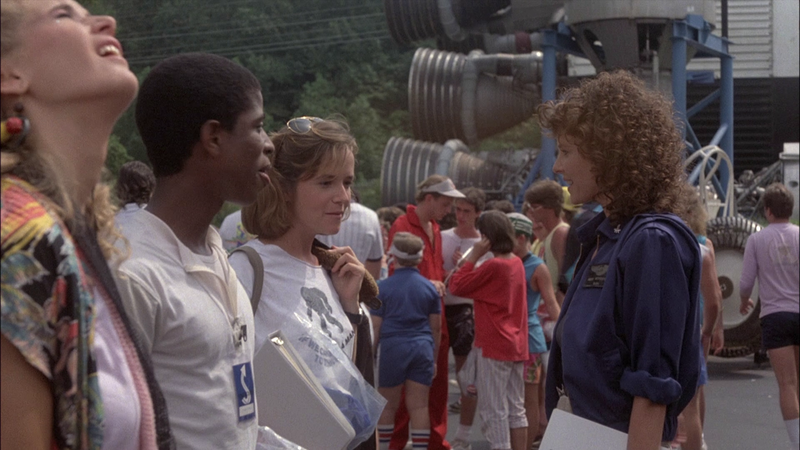 SpaceCamp is finally getting a Blu-Ray release! September 26, 2017 is the day! And it’s available for preorder at Amazon! The distributor of the film, Kino Lorber, was kind enough to send me an advance copy of the film, and I am here to give you my thoughts! The short version: SpaceCamp has never looked better! It’s a relatively inexpensive Blu-Ray (especially considering the cost of the DVD in recent years) and it’s worth picking up. The long version: it’s a little frustrating. For years I’ve dreamed of a cast commentary or at least a commentary with director Harry Winer. This release has neither of those things. What it does have are two short (~20 minutes each) interviews with Leah Thompson and Harry Winer. And they’re magnificent! Hearing the two talk about their experiences with the film was wonderful, and getting to hear Harry Winer discuss his trip back to Camp last year was a lot of fun, especially for someone who was there to witness it! Beyond those two interviews, there’s the trailer for the movie, and a few trailers for some other Kino Lorber releases, and that’s it! On one hand, I do hope for a future “Special Editon” release. On the other hand, I’ll be frustrated when I buy this movie again. And buy it I will! In the meantime, the picture quality is adequate. The film looks a little grainy, but it’s still a clean transfer of the film. Since leaving the theaters, SpaceCamp has never looked better! Even the HDNet airing of it is/was in 1080i, so this is the first time to see a 1080p version of the film! The 2001 AnchorBay release was the first modern treatment of SpaceCamp. It contained the film in both widescreen (non-anamorphic) and full frame, the trailer, and that’s it. Three years later, in 2004, MGM re-rel eased the movie on DVD. It contained the movie in widescreen (non-anamorphic), and that’s it. Finally, in 2017, we get a proper high definition, widescreen transfer of the film. It’s not a great transfer. But it’s good. 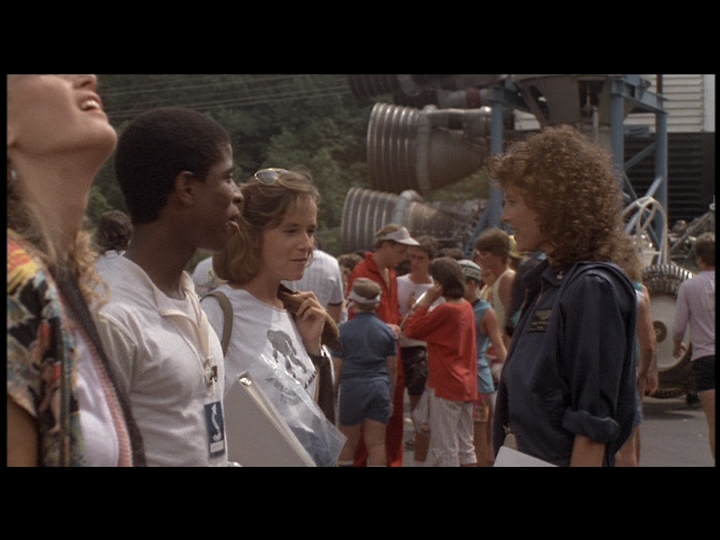 And unless you saw SpaceCamp in the theater in 1986, it’s the best you’ve ever seen it! And, unlike previous releases, there are a few actual special features! Not enough of them! But what’s there is wonderful! So pick it up when it releases on September 26! It’s worth it! Two weeks ago, Alabama Governor Kay Ivey was on hand at Tthe Space & Rocket Center to announce a staggering $10 million grant to Space Camp to provide the initial funding for a new cyber security camp! 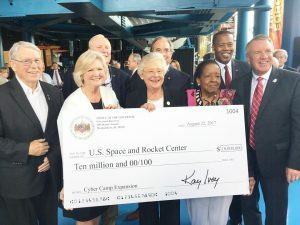 The money will presumably be used to fund new facilities to help facilitate this camp as well as the existing Space Camp, Space Academy, and Robotics programs. Feel free to discuss this exciting news in the HabForum! Yahoo Movies has an interview with Lea Thompson. During the nearly half-hour interview, the actress made some rare comments about SpaceCamp!